Just 3 steps to the PADI Open Water Diver Certification! Learn to scuba dive and get certified on a schedule that fits your life! 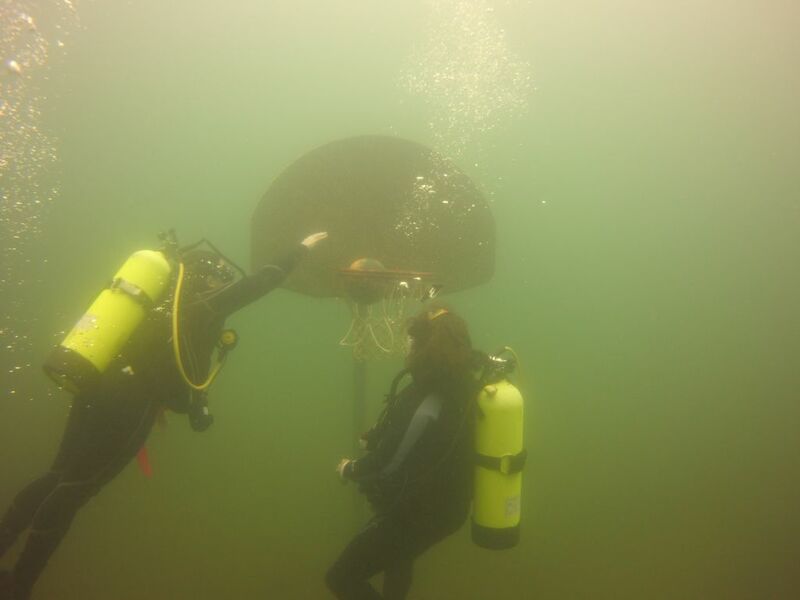 We offer the open water scuba certification in three parts: knowledge development, pool sessions and open water dives. After mastering all the knowledge development, pool and open water sessions, you will become a certified PADI Open Water Diver. This dive season we are offering a specially priced hybrid class that combines all the steps into one weekend. 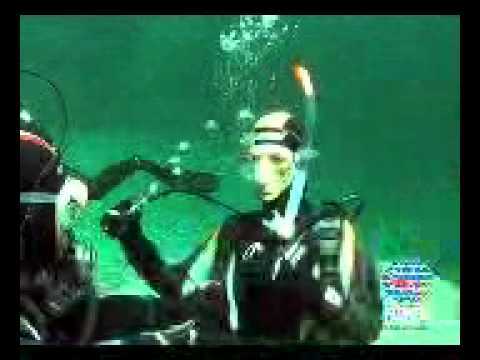 In this step you will learn the facts, principles and concepts needed for scuba diving. This is accomplished through the PADI eLearning program, where all of the course work and tests are completed online before your scheduled class. The cost of the PADI eLearning Program ($185) is included in the price of the course. (Please note the eLearning course takes about 12-15 hours and must be completed before the Saturday class start. It also requires an internet connection) PADI’s eLearning course allows you to explore the modules through reading and short videos, followed by quizzes and a final exam. Join your scheduled class Saturday for equipment assembly and pool sessions. There is a code required for the eLearning course which we will email to you once your signup for the course is completed. There is also the option to complete the knowledge development portion by utilizing the Diver Manual, completing knowledge reviews and watching a video before your scheduled class. If you prefer this option please contact us before signing up for the course. In the pool, you will learn and master many different dive skills and techniques. 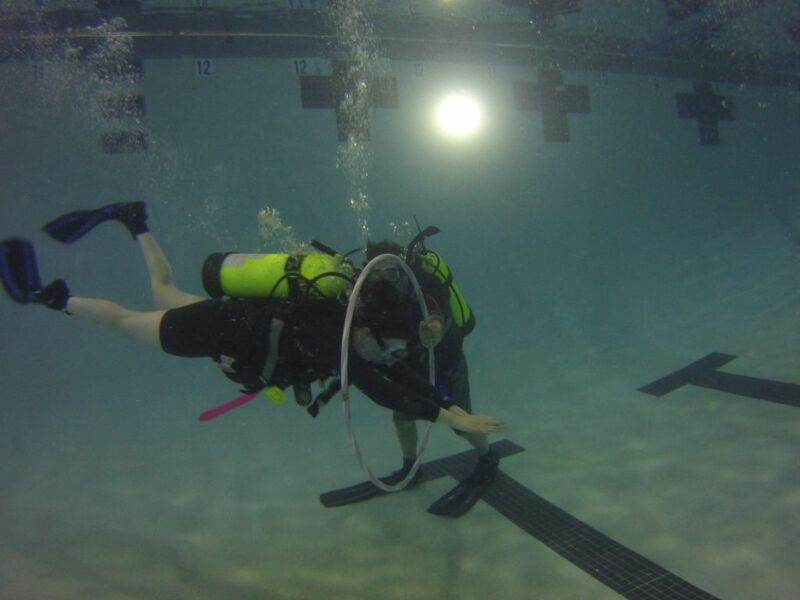 All of our confined water dives are completed in an indoor and heated pool over two days. 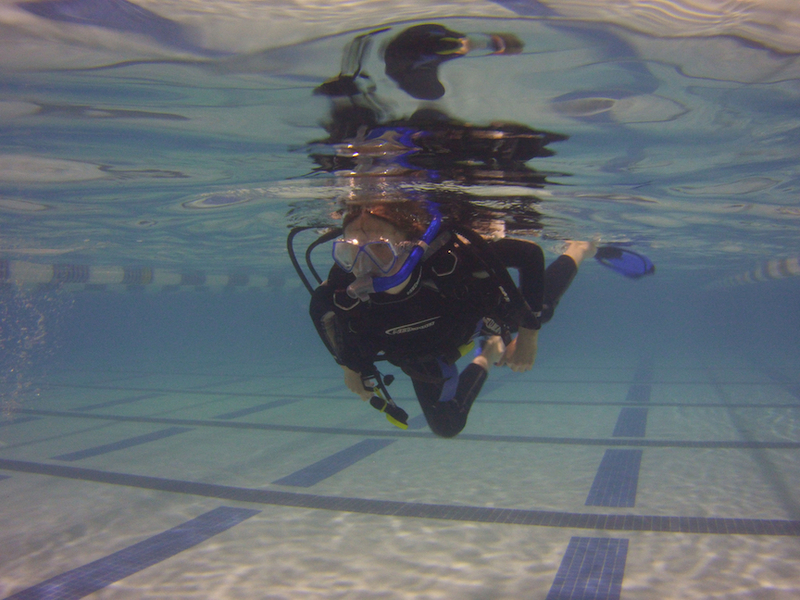 In Saturday’s pool session we start to learn all of the skills necessary to be a safe diver. On Sunday we head back to the pool to review Saturday skills and finish our skill development followed by free time for diving fun. Once you finish the knowledge development and confined water dives you have 12 months to complete the four certification dives necessary to be Open Water Certified. These four dives are completed in an open water setting where you will demonstrate a mastery of the skills learned during the pool sessions. We offer the ability to complete the certification dives with us at Lake Phoenix (in Rawlings, VA) every other weekend from May to November. Explore the local diving opportunities while meeting new dive buddies. Completing your dives locally allows you to head off on your trip fully certified and ready to dive! Need a Referral to complete your Dives on a Trip? 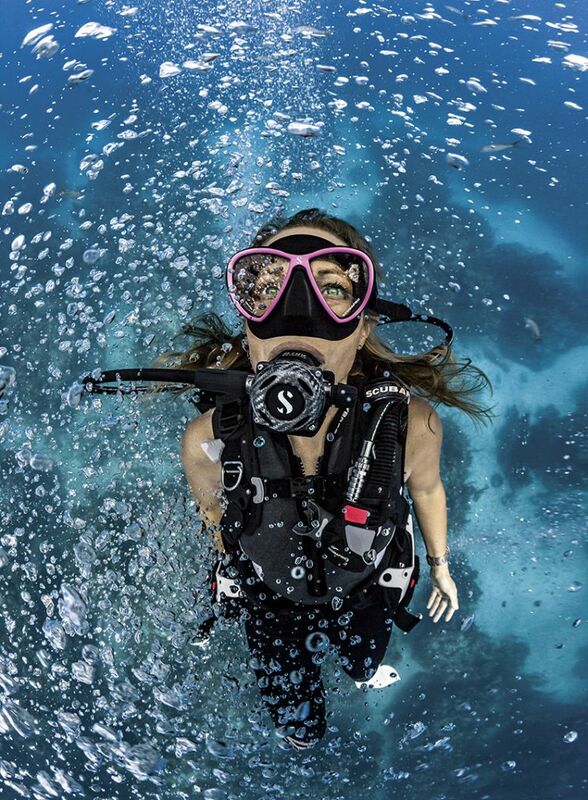 *Personal Gear: This is your mask, snorkel, fins, and boots. Each student is required to provide their own. We offer all for purchase with discounted student gear packages starting at $170. It is possible to rent personal gear, though to ensure the most comfortable fit we recommend each student purchasing their own. **Additional sessions will be added to courses as needed.